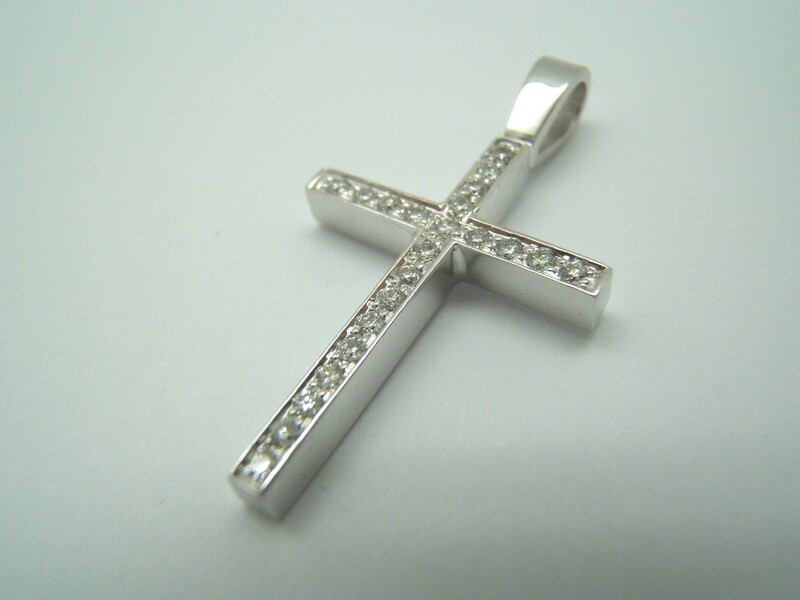 Pendant in the shape of a cross, made in white Gold of 750/000 with 22 brilliant cut diamonds of 0.11 Carats total weight, quality Wesselton-Vs. Weight: 2,34 grams of Gold. This piece is made by master craftsmen.